Computer science is a broad discipline encompassing the development and evaluation of computing systems and software programs, as well as the algorithms used to construct these technologies. Professional computer scientists have a strong background in STEM subjects, and those who work as data analysts may also need a background in business-related fields like finance or economics. Computing today has applications across virtually every industry, from business and education to engineering and architecture, and the Bureau of Labor Statistics projects that the field will grow substantially in the next eight years. Many students choose to earn their computer science degree online. This comprehensive guide shows prospective students popular career pathways when pursuing this degree, and helps them explore their online computer science degree options. Entry-level web developers and systems specialists can often qualify for employment with an associate degree or a professional certificate. A bachelor's degree will be required for database administrators, system analysts, and more advanced positions in the field. Some professionals, including computer and information research scientists, generally require applicants to hold an advanced degree. To meet the growing demand of virtual students, online computer science degree programs are currently offered at the associate, bachelor's, master's, and doctoral levels. The education level of professional computer scientists directly corresponds with their expected annual earnings and unemployment rate. Before applying for jobs, students should research their target field and determine which degree best matches their career ambitions. In the course of their research, many students will find that earning a computer science degree online will help them cut costs associated with living and learning on-campus. Although an associate program is largely seen as an academic stepping stone toward a more advanced online computer science degree, graduates can enter the workforce and launch successful careers with a two-year credential. Computer support specialists, web developers, and computer programmers often qualify for professional roles with an associate degree or a professional certificate. A 2012-13 survey survey from the National Center for Education Statistics also found that 4% of two-year learners studied computer and information sciences and support services, making this the sixth most popular area of study for associate-level students during that academic year. The rising popularity of computer science online degree programs has contributed to this growing trend. Associate programs are usually broad in scope. Most students earn degrees in computer science, or general science with a computer science specialization. Specific areas of computer science are usually explored in online computer science bachelor degree and master's degree programs. Students who earn an online computer science bachelor degree can expect above-average salaries, high employment rates, and a variety of professional opportunities in different employment sectors. Most entry-level positions in the field require a bachelor's degree or an equivalent four-year program. Comprehensive bachelor's programs touch on elements of computing hardware, software, and network administration. Specialized pathways also include courses dedicated to the student's area of focus. Computer science is one of the top bachelor's degrees in terms of employment opportunities, salary expectations, and overall popularity. Computer scientists may pursue a degree in a specialized area of their field, such as management information systems (MIS) or software engineering. UMass Lowell is the second-largest public institution in Massachusetts, serving more than 17,000 students. The college offers over 100 undergraduate majors, including an online bachelor's degree in computer science. Students learn to design and use computer applications, with an emphasis on both hardware and software computing. Courses also cover the math and science topics that form the foundation of the discipline. The program offers concentrations in bio-cheminformatics and data science. The bio-cheminformatics track focuses on designing and implementing computer applications related to biology and chemistry, while the data science track focuses on analyzing and using large data streams to extract useful patterns. UMass Lowell also offers a combination BS/MS degree that allows students to earn both degrees within five years. A public liberal arts and research university, UNCG was founded in 1891 and currently serves nearly 20,000 students. The school offers a bachelor’s of computer science degree online, and the program helps students develop their skills in programming languages, computer platforms, data analysis, math, and more. The program also covers computer ethics and professional competencies, both of which prepare students for the working world. UNCG also helps computer science students locate part time jobs in the field, which helps them build a resume and make professional connections. The school offers an accelerated BS-MS program, which allows students to apply certain undergraduate credits towards a master’s degree. UIS’s campus is about 200 miles southwest of Chicago and 100 miles northeast of St. Louis. The school is one of the only public liberal arts colleges in the state and one of the newest members of the University of Illinois system, joining in 1995. Students in the school’s online computer science bachelor's degree program are taught to apply problem solving skills to computer systems. Courses cover programming, software testing, computer architecture, operating systems, and more. The degree concludes with a software engineering project that requires distance learners to engage in all stages of the software development process. UIS offers a range of advanced computing resources to students, including a network configuration laboratory and a Sun fileserver. Students can also earn credit through industry work opportunities. OSU has an enrollment of over 30,000 students, and more than half of them are enrolled in at least one online course. OSU is highly respected for its distance education programs, and U.S. News & World Report ranks the school’s online bachelor’s programs among the top 10 in the nation. The college offers a post-baccalaureate degree that allows students to combine their online bachelor's in computer science with a previous bachelor’s degree, allowing them to build a versatile skill set. The program offers one-year, two-year, three-year, and four-year tracks, depending on how quickly students want to graduate. OSU offers flexible start dates throughout the year; students only take required courses for computer science, and do not need to satisfy other requirements. The degree is applicable to a range of industries, including entertainment, medicine, and business. With an enrollment of over 33,000 students, George Mason is the largest public university in Virginia. Students in the school’s online bachelor's in computer science program gain a foundational understanding of computer science concepts along with professional preparation for employment in the field. Core topics include theories of computation, data storage and management, network communication, and software design. The school offers a double major in computer science and computer engineering, along with several accelerated BS-MS pathways. UF is a senior member of the state university system and is a respected public college. The university serves more than 29,000 students through 16 academic colleges, and also features a substantial distance education program. UF’s online computer science bachelor's degree features a liberal arts foundation, and the program requires students to pass courses in the humanities, social sciences, and foreign languages. Core classes cover computer organization, software engineering, programming languages, and database systems, along with foundational coursework in math, science, and statistics. Most applicants have already completed an associate degree; students with some college experience should already have taken classes in analytic geometry and physics. Applicants are also required to have earned a 2.50 GPA in their previous classes. KSU operates two campuses in the Atlanta metropolitan area. Students in KSU’s online computer science bachelor's degree are taught the fundamentals of the field, along with information technology applications, including software development, computer systems architecture, and data communications. Classes also cover operating systems, database systems, software engineering, and mathematics in a computer science context. Students can earn a certification in mathematical foundations of computing along with their degree, which adds to their professional marketability upon graduation. Graduates of the program leave school prepared for positions as information technology specialists, network administrators, programmer analysts, software engineers, and more. The largest higher education institution in the District of Columbia, GWU serves more than 26,000 students. The school’s online bachelor's of computer science provides general education in mathematics and science, communication, and computer science fundamentals. In the program, students can choose from either a technical specialization — such as artificial intelligence, data science, or software engineering — or a non-technical specialization, like technology and law, business, or project management. Regardless of your concentration, the program culminates in an eight-credit design project that mimics standard commercial software development practices. Students can also earn both their bachelor’s and master’s degrees in a five-year program. GWU reports that 87% of program graduates are employed or enrolled in graduate school within six months of graduation. The largest private, nonprofit university in the United States, Liberty educates over 100,000 people per year. Liberty’s online bachelor's in computer science program allows students to pursue either a general track or one of four specialized concentrations, including offerings in cyber security, information security, software engineering, and web and mobile programming. Students in all tracks gain the skills needed to develop and maintain computer networks, applications, and systems, while learning to address technical and ethical challenges from a Christian perspective. Liberty offers a range of internships to help computer science students apply their learning in a professional environment at a major technology company. The school arranges internships with prominent organizations throughout the world. Founded in 1963 in Pensacola, UWF serves more than 13,000 students. Dedicated to progressive education, the school’s values include collaboration, distinctiveness, and innovation. UWF’s computer science program is nationally renowned, and the National Security Agency and the Department of Homeland Security have designated the school as a National Center of Academic Excellence in Cyber Defense Education. Students earning their computer science bachelor's degree online can take classes along one of five tracks, including computer information systems, computer science, cybersecurity, software engineering, and information technology. All programs include core studies in programming languages, data structures, software engineering, and other fundamental competencies. A private, Catholic university, Saint Leo was established in 1889 by the Order of Saint Benedict of Florida. Students in Saint Leo’s online computer science program learn how to design, develop, and manage computer systems, including hardware, software, and systems integration services. The program also covers artificial intelligence, internet applications, computer forensics, and information security. Distance learners can pursue a specialization in information assurance, which emphasizes the importance of network security and forensics. Enrolled students can participate in a range of internship programs, where they’ll gain practical experience and prepare for professionals careers as software engineers, web developers, systems analysts, and network administrators. UMD is the flagship school of the University of Maryland System, and is home to more than 37,000 students who study in more than 100 undergraduate programs. Maryland’s online computer science program emphasizes the theory, development, design, and application of computer programs and software systems. Graduates leave school prepared to devise solutions to common computing problems in a range of professional positions. Courses cover network security, numerical analysis, bioinformatics, and computing theory, along with programming languages and software engineering. In addition to its online bachelor’s degree in computer science, UMD offers a combined BS/MS program, which allows students to earn their undergraduate and graduate degrees in just five years. Regis is a nationally renowned Jesuit college located in Denver. The school’s computer science program is widely considered one of the top programs of its kind throughout the country, and the National Security Agency and Department of Homeland Security have ranked the college as a National Center of Excellence in Information Assurance Education since 2007. Grounded in theoretical study, the program teaches students to model and create efficient solutions to modern computing problems. Students are taught to work in an ethical and socially responsible manner. Software development is an important facet of the curriculum, and students learn how to use multiple programming languages and platforms. FIT promotes undergraduate research, and about 10% of students receive funding through school research grants. Students earning their computer science bachelor's degree online at FIT develop fundamental skills in algorithmic thinking, and are taught to design, develop, and test computer software and information systems. Students can choose from several subfield specializations, including operating systems, human-computer interaction, graphics, computer architecture, and artificial intelligence. FIT also allows students to participate in its ProTrack program, a five-year bachelor’s degree that incorporates online courses and computer science job training, which gives graduates the equivalent of one full year of professional work experience — experience that students can put on their resume as they enter the job market. FHSU is a top Midwestern university that has emphasized accessible education since its founding in 1902. The school is home to more than 13,000 students, and more than 8,000 of them take classes online. FHSU offers online courses through its Virtual College, a distance education platform that is intended specifically for adult learners. The school’s online bachelor's in computer science is one of the best and most affordable programs of its kind in the region, and is a recent addition to Fort Hays’s online offerings. Foundational courses cover programing languages, operating systems, software engineering, and systems architecture. Graduates leave school prepared to work in a variety of professional environments, and have a detailed understanding of how to develop, improve, and troubleshoot software programs. UMUC operates one of the largest distance education programs in the world, serving more than 90,000 students. UMUC’s computer science program covers a variety of major topics in the field, including programming, algorithm optimization, and relevant math and science concepts. Students learn to effectively design and use software applications, computer architecture, data, and systems, preparing them for a range of careers in the industry. Distance learners must also take classes that review current trends in the field, and a course in object-oriented and concurrent programming. For students interested in further professional development, the degree also prepares students for industry standard certifications, including the Microsoft Certified Solutions Expert and Oracle Certified Java Programmer. To graduate, students must complete 38 credits of computer science courses, along with general education requirements and 41 credits of elective coursework. With an enrollment of more than 36,000 students, UNT is one of the largest universities in Texas and in the entire country. Students pursuing a bachelor’s degree in computer science online at UNT take a variety courses. They will be introduced to basic and advanced computer science principles, along with material that covers data structures, algorithms, systems programming, and assembly languages. Additional courses are also available in specialized topics like graphics, game programming, networking, and artificial intelligence. The program emphasizes communication, collaboration, and ethical awareness, all of which prepares graduates for work in a diverse field. Students must earn a 2.75 GPA on all advanced computer science courses in order to graduate. Based on a suburban campus about eight miles north of Baltimore, Towson is the second-largest school in the University System of Maryland. The school offers a computer science degree, along with related programs in information systems and information technology. Distance learners can take courses across several tracks and pursue a variety specializations to suit their professional interests. The degree allows students to specialize in security or double major in mathematics, while the information systems degree allows students to specialize in business, e-government, interface design, or systems. Towson offers small classes and personal attention from its renowned faculty members, and local students will enjoy graduating into Baltimore’s metropolitan job market. The largest urban university in the state of Nebraska, UNO has an enrollment of more than 15,000 students. Serving as an access point for higher education for more than a century, UNO ranks as one of the most affordable colleges in Nebraska, and the school has also earned praise for its friendliness to veterans. Students pursuing their computer science bachelor's degree online through UNO learn to design and implement computing and programming systems to meet a range of organizational needs. The program includes general courses in theory and application along with a few concentration options, including information systems, networking, telecommunications, mainframe computing, data engineering, and software development. Students can also take upper level courses in specialized subjects, such as video game design, security administration, cryptography, and multimedia systems. Part of the University of Wisconsin System, UW-Stout is specially designated as the state’s polytechnic institute, offering training programs in technology and industry. UW-Stout offers a degree in applied mathematics and computer science, with six available concentrations, including actuarial science, business management, information assurance and cybersecurity, mathematics education, software development, and an interdisciplinary program. All six tracks include foundational courses in computer science along with a curriculum that helps students develop strong analytical skills and collaborative abilities. Students can access a range of academic services online, including library resources for mathematics, computer science, and statistics. GSU is home to over 20,000 students, and offers comprehensive education through more than 120 degree programs. The school’s online computer science program provides distance learners with a nuanced understanding of the programming, data structural, and mathematical skills necessary to solve complex computing problems. The program includes relevant computer science courses along with general classes in communications, social sciences, the humanities, and global engagement. Students can also choose from relevant electives in a variety of areas, including animation, optical networks, game programming, and broadband networks. ODU is also one of the top online colleges in Virginia, and 96% of students are satisfied with the school’s online education platform. Its online computer science degree is particularly strong, and offers students several options to tailor the curriculum to suit their interests. Distance learners can take classes in one of six concentrations, including databases, cybersecurity, game programming, networking, systems programming, and web programming. Students will get significant laboratory experience and learn the fundamentals of the field. Additionally, lab work exposes students to both the experimental and design aspects of computer science, emphasizing the creativity and productivity they’ll need as professionals. Established in 1946 as a technical college, LeTourneau has become a small, four-year nondenominational Christian university. LeTourneau’s online computer science program emphasizes software development, allowing students to concentrate in one of two tracks: game development or network security. The game development track helps students build the programming skills and software necessary to create video games, giving distance learners an overview of graphics, modeling, design, programming, and engineering practices. Students can also participate in game-related internship programs. The network security concentration teaches students to create and manage secure digital networks, protecting organizations from cybercrime and unauthorized intrusion. The program includes courses in networking, information security, and database management. With over 23,000 students, DePaul is the largest Catholic university in the United States. DePaul’s School of Computing makes use of the latest developments in emerging technologies, from artificial intelligence and visual computing to multimedia networking. Combining elements of math, science, and engineering, the computer science program teaches students to structure, repair, and modify complex computer systems, helping distance learners build a fundamental knowledge of algorithms, programming, and data systems. The computer science offering at DePaul is a transfer program, with admission open only to students who have already earned 45 quarter or 30 semester hours of transferable credits from another school. Transfer students must also have at least one previous semester of training, in either Java or C++. Online students can typically graduate within three years. DSU maintains a strong academic focus on technology programs. The college emphasizes the integration of technology in all aspects of education, and it offers a variety of robust online degrees. The online computer science program at DSU equips students with the tools they need to build computer systems and applications, devising solutions for several fields, including networking and security. Courses cover fundamental topics like algorithms, database management, and mathematics, along with more specialized topics in parallel computing, assembly languages, and language processing. Interested students can get a jump on graduate education through the school’s accelerated 4+1 program, which allows undergraduates to earn credit toward an MS in applied computer science or other related degree. DSU emphasizes professional preparedness, and 94% of graduates are able to find a job soon after they leave school. Students in a master's program study advanced computer science topics at a more granular level than undergraduates. They may focus their studies on machine learning, artificial intelligence, algorithmic structures, or other similarly nuanced subfields in the discipline. Master's computer science students build on the foundational knowledge and skills they have gained in online computer science bachelor degree programs. Courses cover advanced concepts related to algorithms, data organization, and information technology. Online master's programs often include a capstone or thesis project as well. One of the nation's leading public universities, Georgia Tech was founded in 1885 to help the South rebuild during Reconstruction. Originally a mechanical engineering school, the Atlanta-based institution has grown to become a comprehensive research university specializing in the STEM disciplines. More than 21,500 technology students are enrolled in the institute's six schools and colleges, with just under 10,000 of them pursuing graduate degrees. Dozens of Georgia Tech's programs are ranked nationally, including the school's online master's in computer science. Georgia Tech partnered with Udacity and AT&T to create one of the country's most unique computer science graduate programs. The 30-credit online master of science in computer science was the first to follow the "massive online" format (MOOC), which has become popular for free, open-source, web-based education. While Georgia Tech is not gratis, it is relatively inexpensive. The format allows for more interaction between students, peers, and faculty than traditional online platforms, and it fosters mentoring. Participants can specialize in four fields: computational perception and robotics; interactive intelligence; computing systems; and machine learning. The degree requires a bachelor's, preferably in computer science, with a 3.0 GPA or better. Located in Los Angeles, the University of Southern California is an educational giant, with 21 schools and colleges. The public, four-year, research university is the single largest employer in LA, with an economic impact of more than $8 billion annually. Of the 44,000 students enrolled, 7,300 attend online and more than 25,000 are in graduate programs. From the arts to the sciences, USC is a national leader. USC has 88 online degrees, and all of them are graduate and professional programs. The online computer science master's degree has five areas of specialization. Students can take the school of engineering's traditional 30-credit master of science in computer science. The curriculum offers a broad overview of computer systems, languages, designs, and applications. Students can also enroll in a more specialized track such as: computer security; data science; multimedia and creative technologies; software engineering; or scientists and engineers. Most classes have real-time and asynchronous components and involve peer-to-peer connections with both fellow online learners and on-campus students. The U of M is a public land-grant university where students actively participate in major research alongside their professors. Based in Minneapolis-St. Paul, with campuses three miles apart, the school has a student population of 30,000. About half of the students are in graduate programs. Part of the prestigious Association of American Universities, U of M is often referred to as a "Public Ivy." The school's master's in computer science online prepares students for careers in programming, technology companies, systems engineering, and big business. The master of computer science program follows a 31-credit curriculum and is delivered by the university's UNITE Distributed Learning Office. Coursework includes synchronous events and asynchronous lessons. Classes include subjects such as: modern cryptography; animation and planning in games; and computational aspects of matrix theory. UNITE faculty coordinate proctored exams for students in remote locations. U of M Online offers resources to online students on its site that includes technology support, advising, digital tutorials, and free training courseware. Founded in 1890, the Illinois Institute of Technology (IIT) is one of the country's leading research institutions. The Chicago-based school has a history of innovation. It is associated with advancements like skyscraper architecture, cellphones, barcodes, and recording technology. IIT offers cutting-edge online programming and more traditional degree programs. IIT was one of the first schools to pioneer technology-based distance learning, using television to deliver programs as far back as the 1970s. Today, IIT Online offers dozens of degrees entirely through the web, including two master's in computer science. The 30-credit master of computer science program explores the concepts, systems, and practical application of computers in the modern world. Students can specialize in 11 different areas including: business, database systems, and software engineering. Participants can elect to complete a major project or additional coursework. The other degree track is a master of science in computer science, designed for students who want to continue on to a PhD program or a career in research and development. IIT Online offers a full range of support services to virtual students. Referred to as "Illinois", the University of Illinois Urbana-Champaign is known for far-reaching research, top-tier educational opportunities, and its status as one of the founders of the Big Ten. More than 44,000 attend, pursuing 150 degree programs at the baccalaureate, graduate, and post-graduate levels. At the forefront of web-based learning – the university offered one of the oldest off-site programs as far back as 1948 – Illinois now hosts Illinois Online, where students select from over 75 degree programs. In the 32-credit professional master's in computer science, distance learners receive the same lectures and assignments as their on-campus counterparts. The non-thesis program is composed of coursework only. A specialized data science concentration is an option. The degree takes three to five years to complete. One of the country's oldest technology schools, Stevens sits across the river from Manhattan in Hoboken, New Jersey. Since its founding in 1870, the institute has built a national reputation for innovation, entrepreneurial spirit, and community service. The 3,600 graduate students outnumber the school's undergraduates in the institution's four schools. With a student to faculty ratio of 10:1, all learners enjoy a close relationship to the faculty. Stevens' online arm, the WebCampus, offers 18 degree programs, including an online master's in computer science. The computer science masters at Stevens' school of engineering and science takes a broad look at the nature of computer technology. It covers operating systems, languages, applications, systems, cybersecurity, and cloud computing. At least 21 of the 30-credits required for graduation must come from computer science courses. The degree is customizable with electives; possible focus areas might be: cloud computing, data mining, gaming, security, web applications, mobile computing, and software development. Students interested in computer science might also appreciate some of Stevens' other online master's offerings: computer engineering, information systems, networking, information and data engineering, enterprise and cloud computing, and software engineering. The University of Illinois system (UIS) boasts small classes and close relationships between students and faculty. Located near Lake Springfield, about 200 miles southwest of Chicago, the school offers a variety of programs that include 31 bachelor's degrees, 20 master's degrees, and one doctoral program. The student population of about 5,000 is split roughly in half between undergraduates and graduates students. More than 1,600 are enrolled in UIS' online programs, and criminal science is the most popular graduate program. The 8 course, 32-credit curriculum of UIS' online master's in computer science emphasizes software. Students delve deep into the design, function, use, and management of software applications through classes like discrete structures, systems programming languages, and data structures and algorithms. Other topics in the computer science master's degree program include security and information assurance. Classes are cohort based. Applicants with a baccalaureate background in computing are preferred; the GRE is not required. UIS publishes a newsletter twice annually to keep its web-based students up-to-date, and it hosts a brunch for online students at graduation. As its name suggests, Dallas-based Southern Methodist University was founded in 1911 by the Methodist Church. A private research institution, the school is now non-sectarian in its academics and promotes independent and creative thinking. One of the country's most powerful academic supercomputers is used for research at the university. SMU's online computer science master's takes an interdisciplinary approach and features a great deal of networking, collaboration with peers, and face time with professors. In the master of science in data science program students attend live classes delivered through the web. They also participate in study groups and social networking. Periodic on campus "immersions," meetings with faculty, guest speakers, and classmates, are required. A wide array of support services is available to online students, from tech support and platform help to advising and library access. The University of Hawaii at Manoa (UH) is located three miles from downtown Honolulu. UH was founded in 1907 as Hawaii's land-, sea-, and space-grant institution, and it's become known as a research leader in oceanography, astronomy, genetics, and tropical agriculture. About a third of the school's 18,000 students come from outside the state, and they represent 126 different countries, giving the school an international feel. UH created its distance learning program to extend educational opportunities to students in remote areas of the Hawaiian Islands, and it now serves learners all around the globe. The university's online master's in computer science is aimed at students who are interested in a high-level position at a tech company or want to earn a PhD in the subject. The 31-credit master of science in computer science program focuses on software, its construction, uses, and maintenance. Students can select between the thesis or capstone track. Applicants must have a bachelor's degree, a 3.0 GPA, and three consecutive semesters in a programming language. They also must have passed the GRE and completed a year-long course in calculus. UH offers a wealth of services to online learners, including IT support, library access, and proctoring help. Established in 1964, Nova opened its doors in Fort Lauderdale as a technology school with revolutionary ideas about learning. The private, non-profit school is a research institution with 24,000 students studying in centers across Florida, the U.S., and around the world. Nova is a national leader in online learning. The 36-credit curriculum of Nova's master of science in computer science program gives participants a solid foundation in the basics of computer programming and usage and encourages critical thinking and problem solving. Classes explore algorithms, operating systems, languages, and software engineering. Six areas of concentration allow students to tailor their degree to their field of interest. They include: theory, computer systems, software engineering, data science, real-world computing, and a security specialization recognized by the Department of Homeland Security and the National Security Agency. Nova's online platform puts a premium on interaction and collaboration and it features many real-time components. One of the oldest public universities in the country, the University of Tennessee was founded two years before Tennessee even entered the Union. Set on 600 acres in the city of Knoxville, it's the flagship of the public university system in the Volunteer State and its biggest institution. More than 6,000 of Tennessee's 28,000 students are pursuing graduate and professional degrees. The school's virtual campus, Vols Online, offers over a dozen master's programs, including a master's in computer science online. The Master of Science in Information Science is a 36-credit program that explores the use, dissemination, collection, and role of information in modern America. It uses the Internet to connect remote learners to on-campus classrooms with many classes running in real time, using the school's Zoom application, which allows students anywhere to participate in lectures, discussions, and seminars. The program kicks off and ends in Knoxville, with a mandatory 1-day orientation and a final exam or thesis defense. Admission requires a baccalaureate degree and preferably a GPA of 3.25 or better. UT is transitioning from the Blackboard platform to Canvas. Located in Newark's University Heights neighborhood, New Jersey Institute of Technology is one of the nation's top public polytechnic universities, and it's been on a growth spurt since 2005, doubling the size of its campus. Known for innovation and entrepreneurship, especially in STEM-related business, NJIT is home to 11,400 students, pursuing 128 undergrad and graduate degrees, in six schools and colleges. Online education has been a priority at the school – NJIT has long been a "computing intensive" place – and it now offers a baker's dozen graduate degrees, including an online master's in computer science. NJIT's College of Computer Science has a national reputation for excellence. Its Master of Science in Computer Science degree was designed to allow working computer professionals to advance their careers while remaining on the job. The 30-credit program focuses on critical reasoning, algorithms, and programming and has three specialization tracks: Generalist; Networking; and Databases and Data Mining. Coursework is delivered over five, fourteen-week semesters. The GRE and GMAT are not required for admission. Online information sessions are hosted several times a month. UMass Lowell sits astride the Merrimac River about thirty miles northwest of Boston. The university's reputation has been on the rise for the past decade, and it's grown into a major northeast regional research institution. The school is now ranked 13th in the nation for intellectual property created. Its 19,000 students make it the second-largest public university in the Commonwealth of Massachusetts behind UMass. UMass Lowell has put a lot of work into its online arm, making its virtual campus into a national leader. The university now offers more than 50 undergraduate and graduate degrees online. The Department of Computer Science's Master of Information Technology degree is a ten-course program centered around networking. Linux, Apple, and Windows operating systems are all explored, and classes are all taught by experienced, full-time faculty or adjunct faculty working in the disciplines they teach. The curriculum includes security analysis, mobile computing, routing, cloud computing, and system administration. Tech support is offered 24/7, and students can "test drive" a course on UMass Lowell's site. A private Catholic institution affiliated with the Archdiocese of Philadelphia, La Salle was named after the patron saint of teaching. The school is a comprehensive, coeducational university with 60 programs from the associate's to the doctoral level. The student body numbers around 5,600, with 1,700 enrolled in graduate and professional studies, and the student to faculty ratio is a tight 12:1. Most classes are kept under 20. LaSalle has eight fully online graduate degree programs, including a master's in computer science online. The three goals of the Master of Science in Computer Information Science are to ready students for project management, problem solving, and solution implementation. Classes are offered in accelerated, eight-week sessions, twice a semester, and delivered in a collaborative, real-time, synchronous manner, emphasizing group work. Students are expected to be attending classes full time. Requirements for graduation include a capstone project and residencies for tests and presentations. LaSalle also offers a cybersecurity master's. Accreditation is through the Middle States Association of Schools and Colleges. A public school of 13,000 located 45 miles west of Atlanta, the University of West Georgia got its start in 1906 as the Fourth District Agricultural and Mechanical School. These days, the Carrollton-based institution is a comprehensive research university and a growing regional power in the Southeast with 86 programs in 7 colleges and schools. Grad students account for 2,000 in the student population, enrolled in 9 graduate programs. UWG has a wealth of degree options available on its virtual campus. The two-year, 36-credit Master of Science with a Major in Applied Computer Science is unusual among online master's in computer science programs in that it's aimed at professionals holding any undergraduate degree. Delivered in both synchronous and asynchronous formats, the program offers a broad overview of all aspects of the discipline, from programming and languages to databases and networking. Student must complete two projects, usually team oriented and emphasizing real-world skills. No credits can be transferred in. A cyber-learning readiness assessment is available at UWG online. Hofstra began operation in 1935 as an offshoot of New York University. Twenty-five miles east of New York City, the school became its own entity two years later. It's now the largest private college on Long Island, with 12,000 students, about 25 percent of whom are in graduate and professional studies. Hofstra offers 320 different programs, split in half between undergrad and graduate. Known for its schools of law and medicine, the university also has a strong computer science department at the Fred DeMatteis School of Engineering and Applied Science, home of the Big Data Lab. 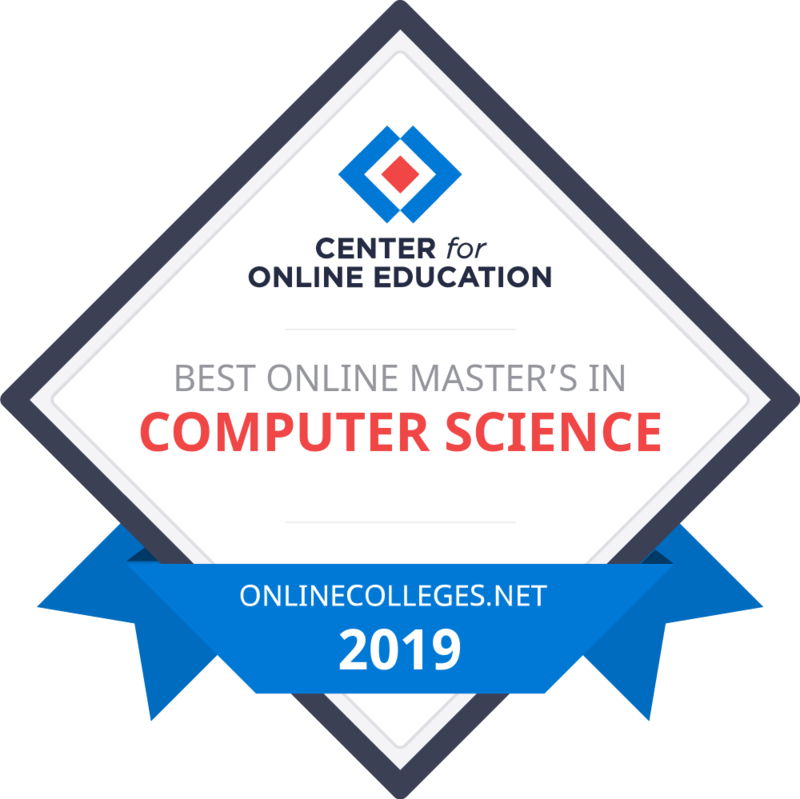 The online computer science master's at Hofstra aims to both ready students for careers in computing and prepare those interested in further study. Participants in the 30-credit Master of Science in Computer Science program develop a broad base of knowledge in algorithms, programming, and operating systems, and can specialize in two areas: web engineering and networking and security. Students can also use electives to create their own area of concentration with their faculty advisor, and the teachers have wide-ranging expertise, including cloud computing, data mining, artificial intelligence, computer vision, neuroscience, security, and languages. A capstone project or thesis is required to graduate. Hofstra online graduate programming has won national recognition. A private four-year school on Long Island Sound in Bridgeport, Connecticut, "UB" is one of the country's most diverse schools. Students hail from 45 states and 80 countries, and the university has one of the highest percentages of graduates who participated in the English as a Second Language Program. The student population of 5,500 is divided almost in half by undergrads and graduate students, pursuing degrees in more than 125 academic fields. Founded in 1927, UB has many venerable Victorian homes on campus that used to be owned by circus showman P.T. Barnum and his family. UB offered its first online master's degree course in 1997 and has been refining ever since. The school's online computer science master's is a 34-credit program that was designed to allow students to earn their degree taking two classes at a time, for two years, while maintaining their professional careers. Required courses for the Master of Science in Computer Science degree include object oriented programming using C++, operating systems, analysis of algorithms, and data and computer communication, among others. Students must take the engineering colloquium series of seminars and complete a master's project. Coursework is delivered asynchronously for maximum flexibility. A raft of services for online students is available at UB's online page. The third-largest university in a state known for big schools, East Carolina is a public research institution in Greenville, North Carolina. Established in 1907 as a teacher's college, ECU is now a comprehensive university, offering 88 bachelor's, 72 master's, and 5 doctoral programs, along with an array of professional certification options. Of the 29,000 students enrolled, 5,500 are in graduate studies. The school has become known as a frontrunner in online education, with over 90 degree programs available through the web. These include several options of interest to anyone looking for an online master's in computer science. ECU's traditional Master of Science in Computer Science program is for students preparing for careers in the private sector or continuing on in academia. The 30-credit curriculum explores all facets of the discipline – programming languages, OS, applications, computer architecture, and engineering – and encourages problem solving and critical thinking skills. ECU also hosts master's programs in software engineering and network technologies in its virtual classrooms. The networking degree has several possible specialties, including web technology, info security, digital communications, and network management. Founded in 1908 as a women's teacher's college, James Madison is a public, coed, research university set in the Shenandoah Valley city of Harrisonburg. Considered one of the top public institutions in the South, JMU provides access to 124 degree programs, from the bachelor's to doctoral level, to a student body of more than 21,000. The Virginia school is largely an undergrad, residential place, and grad students number less than 2,000. But the universities 46 master's programs are recognized for excellence – JMU's online master's in computer science, for example, has been lauded by the U.S. Department of Homeland Security and the National Security Agency. JMU's Master of Science in Information Security is one of the most comprehensive programs of its kind in the country, offered every year since its inception in 1997. Aimed at working professionals, the 33-credit cohort-based curriculum takes a highly technical approach to cybersecurity. Applicants should have a background in computer science and be comfortable with C++ programming, computer architecture, data structures, and discrete math. There are no residency requirements. Online students at JMU have access to career planning, the Communication Resource Center, the Counseling Center, peer-assisted tutoring, the Writing Center, and more. From its campus on a nature preserve in Pensacola, Florida, the University of West Florida is a public, space-grant, research institution that has quietly become a leader in online education. Part of the State University System of Florida, UWF hosts more than 600 courses in its virtual classrooms and has over 50 degrees that can be earned entirely in cyberspace. The school is home to 13,000 students, 3,000 of them pursuing graduate studies, and more than half (7,600) take at least one online course. Roughly a third of students do all their learning virtually. Out-of-state residents enrolled in web-delivered programs are granted a waiver that makes their tuition costs only slightly more than in-state costs. UWF's Online Campus programs are designed specifically for non-traditional and adult learners. The school's online master's in computer science offers three distinctly different pathways – Computer Science, Database Systems, and Software Engineering. All are specialized versions of the Masters of Science in Computer Science program and follow 30-credit curriculums. They require an undergrad degree, preferably in computing, the GRE, and letters of recommendation. The computer science concentration explores the theoretic underpinning of computing and can be specialized further with focus areas in cybersecurity and data analytics. All courses in the degree are delivered synchronously. Fort Collins is the flagship campus of the Colorado State University system. With 30,000 students, it's by far the largest, dwarfing CSU Pueblo's 5,000, and it's generally called simply Colorado State. A comprehensive, land-grant, research university, the school offers 77 graduate, 72 undergrad, and 44 doctoral degrees. CSU's virtual Global Campus hosts 21 more, including an online computer science master's. CSU's has been offering a distance computer science master's for more than 30 years and has it down to a . . . science. The 35-credit Master of Computer Science program is the same as the one offered on-campus, providing students with an extensive background in software engineering, parallel computing, networking, cloud computing, and artificial intelligence. Students can use electives to tailor the degree to their interests and often get involved in cutting-edge research. Up to three courses can be taken before being admitted to the program and still count toward the degree requirements. CSU also has a master's in computer information systems. With three campuses in Philadelphia and one online, serving more than 26,000 students, Drexel is among the nation's biggest private universities. A comprehensive research institution, with over 200 degree programs from the bachelor's to doctoral level, the school has been a longtime champion of experiential learning and web-based education. (It's also one of the top ten employers in Philly.) Drexel Online is now home to more than 5,100 students, and it has several online computer science master's programs. The Master of Science in Computer Science is the most traditional, a 45-credit curriculum that teaches students the basic precepts of the field – and how to use them to solve real-world problems. Students can select electives from related fields, like electrical engineering, and information science, and opt for thesis or non-thesis tracks to customize their education. Other master's possibilities from Drexel Online are: cybersecurity, software engineering, information systems, library and information science, and health informatics. Drexel's "Digital Dragons," have access to ‘round-the-clock tech help, the W.W. Hagerty Library, the Writing Center, and the Steinbright Career Center. "ODU" was founded in 1930 as a Norfolk, Virginia-based extension of the College of William and Mary. Today, it's a massive research institution with four extended campus centers of its own, and it's one of the country's foremost purveyors of online degrees. The student population numbers around 24,000, and about 4,500 are doing graduate work, enrolled in over 150 degree programs from the baccalaureate to doctoral level. Despite the university's size, students maintain a close relationship with faculty – the ratio is 19:1. About a third of students attend class in cyberspace, and more than 13,500 students have graduated remotely. Old Dominion has more than 30 years of experience delivering degrees over distance. The school's master's in computer science online is a 34-credit program that has won plaudits for both excellence and affordability. The curriculum of the Master of Science in Computer Science degree provides a rigorous grounding in cybersecurity, bioinformatics, networking, and computational foundations. Students can elect to pursue a coursework-only track or do a master's project or thesis. Classes are delivered in an asynchronous format and follow the university's semester schedule. Located in the city of Moscow, the University of Idaho is the oldest public university in Idaho, founded in 1889. The state's land-grant, research institution, the "U of I" is consistently ranked among the nation's best universities. With additional campuses in Boise, Coeur d'Alene, Idaho Falls, and Twin Falls – and a thriving campus online – the school serves a student body of 11,000 students. Across the decades, the home of the Vandals has become recognized for its green campus, outdoor recreation, community service, and affordability. The university's Department of Distance and Extended Education's Master's of Science in Computer Science is a 30-credit degree program exploring the practical and theoretical role of computing in science, business, academia, and society at large. Students can opt for a thesis or non-thesis track. Coursework consists of on-campus lectures recorded in high definition. Exams are done local to the student with approved proctors. A handbook covering Engineering Outreach programs can be downloaded at Idaho's site. An undergraduate degree in computing is not a prerequisite but it is preferred. The GRE is required, and applicants should have an undergrad GPA of 3.0. A private institution based in La Jolla, California, National University has been expanding since its founding in 1971, and it's now one of the largest nonprofit universities in California. Part of the National University System, NU has 28 locations around country, and a continually growing virtual campus. Its six schools and colleges offer 120 degree programs. Ninety of them can be earned entirely through the web, including an array of online master's in computer science. The Master of Science in Computer Science and Information Systems itself is a generalist degree, giving students a thorough understanding of computer dynamics, software production, programming, databases, and cloud computing. Once the core courses are met, participants can select from three specializations – database engineering, advanced computing, and software engineering. The curriculum culminates in two master projects, where students use their newly acquired skills to solve real-world problems for real-world clients. Other master's level computer degree programs at NU include: cybersecurity and information assurance and management information systems. Online programs at use the Blackboard platform and are available 24/7. Prospective computer and information research scientists must complete a doctoral degree; terminal programs also prepare graduates for college-level teaching positions in the field. Although doctoral degrees are traditionally offered in residential programs, some schools offer computer science degree online programs for doctoral students. Doctoral programs in computer science are grounded in theory and academic research. Most culminate in a lengthy, research-based dissertation; students will be required to deliver a thesis proposal outlining the finer points of their dissertation. In addition to computer and information research scientists, those who plan to teach computer science at the postsecondary level are generally required to earn a doctoral degree. Computer support specialists offer IT assistance and services to other employees in a range of organizational settings. Potential employers include private companies, nonprofits, government agencies, healthcare facilities, and educational institutions. Some specialists are employed on in-house IT teams, while others provide support as part of a third-party operation. Entry-level support specialists may join the workforce with an associate degree, or even just by having significant computer experience. Information security analysts protect the computers and online networks of private companies, organizations, and government agencies. They primarily monitor information systems for suspicious activity and use different programs — such as firewalls and encryption software — to maintain security. Analysts may also develop information security plans and work with company leaders to increase system efficiency. Many candidates enter the job field with a bachelor's degree in general computer science, although a growing number of today's schools offer specialized computer science programs dedicated to information security. Web developers are the tech-savvy minds behind websites and online applications. They use coding to build and optimize the various technical and aesthetic properties of a site, such as search functions, online checkout tools, multimedia, and other features that drive online traffic. These professionals typically work on a team, and may specialize in a certain area of web development, including site layout or graphics integration. Unlike many other careers in computer science, most web developers can enter the workforce with an associate degree or an equivalent professional certificate. The BLS projects that this sector will grow 27% through 2024, making it one of the fastest growing fields in computer science. Companies, private organizations, and government agencies rely on database administrators (DBAs) to organize and monitor financial records, employee profiles, and other sensitive information. These professionals also work to improve security and efficiency through testing, regular evaluation, and routine modifications. Evolving technologies and an increased demand for secure electronic recordkeeping are expected to drive employment growth in this sector. The number of database administration positions are projected to rise by 11% over the next eight years. DBAs may be employed in-house at larger firms or organizations, but an increasing number of these professionals are finding work at third-party companies that specialize in database services. Software developers are responsible for designing computing programs, apps, and support systems. They meet with clients to discuss technological needs, and then develop software that addresses these demands. Once complete, developer specs and instructions are used as a reference point during the programming/coding process. With more than 1.1 million working professionals, software development represents one of the largest fields in computer science. The BLS also projects approximately 190,000 new positions by 2024. Chris Hood has been working in tech for over 20 years and has developed technology for several prominent brands, including Fox, Disney, Universal, Electronic Arts, Reebok, Monster, and many more. Hood holds a bachelor's degree, which he obtained online from the University of Phoenix, and an MBA earned through an online program at Indiana Wesleyan. He currently teaches computer science courses online for Southern New Hampshire University and Colorado Tech University. 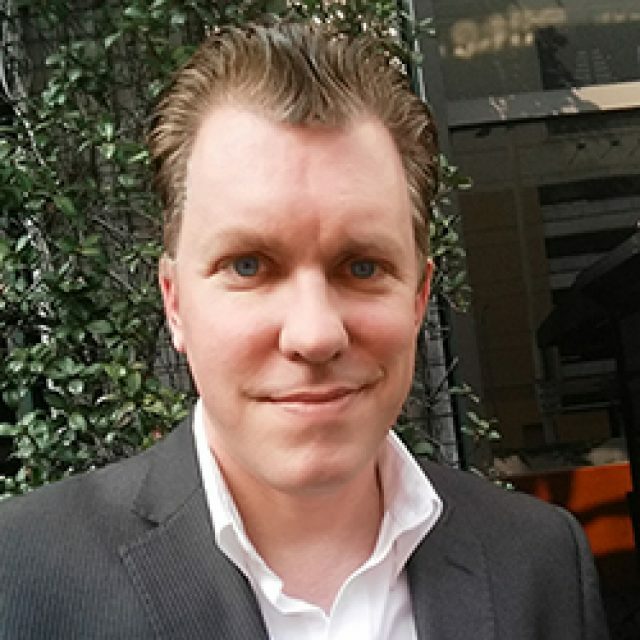 In his free time he is a seasoned CTO and digital transformation consultant. Why did you pursue your computer science degree online? Online degrees are a great way to get an education while maintaining a professional (and personal) life. The flexibility is one of the best features of going to school online. As a student and a teacher, I am able to log on when I'm available, do what I need to do, and log off to continue my day. In school I was able to get most of my work done late at night or early in the morning, confirming the motto "you can go to school in your pajamas!" What were the biggest advantages for you as you studied online? An online degree in technology has additional advantages. By default, we work with computers. Depending on a student's area of focus, you'll be sitting in front of a computer for most of your professional career. Not only does going to school online increase some of those basic computer skills, it also helps you analyze software through the different tools you'll use during the degree program. What were the challenges or obstacles you faced as an online student? Personally, I never had any obstacles. My students, however, usually complain about a system not working, or not being able to log in correctly. Other students complain about the lack of interaction, or frustrations working with other students in team projects online, especially when trying to coordinate times to discuss assignments. For me these are ideal learning opportunities. The reality is, this is the life in computer science. Professionally we often are asked to troubleshoot connection issues, or system problems. We often are placed on geographically dispersed teams, where communication skills and schedules are challenging. If anything, the online environment prepares students for the real world scenarios today's tech teams face more than ever. How did the online format help prepare you for your career? Some students also believe that going to school on a campus supplies them with endless networking opportunities through face-to-face participation in campus groups. Online schools do the exact same thing. In fact, networking, building relationships, and lasting friendships are just as powerful when pursuing an online degree. Today's computer science online degree programs offer a comprehensive curriculum designed to fully prepare students for the workforce. Although most computer science careers do not require professional certification, extra credentials help candidates compete in the workforce and improve their overall job security. The following section explores some of the most popular certification options for graduates from online computer science degree programs. The Information Systems Audit and Control Association (ISACA) currently offers a Certification in Risk and Information Systems Control (CRISC) credential. Geared toward IT and business professionals, the CRISC tackles the fundamentals of risk management and compliance. Specific areas of discussion include current methods of identifying, assessing, mitigating, and reporting risk. ISACA members who register early will be assessed an exam fee of $450; non-members must pay $635. CRISC exams are offered in June and December. CRISC enrollees must have at least three years of experience working with IT risk and information systems management. Also available through ISACA, the Certified Information Security Manager (CISM) program studies methods of designing, implementing, and monitoring digital security services for different clients. CISM enrollees learn different strategies and methods related to information security governance, compliance, development, and management. ISACA members who register early will be assessed an exam fee of $450; non-members must pay $635. CISM exams are offered in June, September, and December. Candidates for this certificate must have at least five years of experience working with IT security management. The Microsoft Certified Solutions Expert (MCSE) credential educates IT professionals using a specialized curriculum. There are currently eight different MCSE programs available, including Server Infrastructure, Private Cloud, Enterprise Devices and Apps, Data Platform, Business Intelligence, Messaging, Communication, and SharePoint. Each program requires students to complete either four or five online exams related to the specialization. Students will be assessed a $150 fee for each exam. Comprehensive, optional online courses are available for each exam. Exam content and duration will vary; most exams contain 20-40 questions, and may require anywhere from 45 to 150 minutes to complete. The CompTia Security+ certification tests knowledge and skills most commonly used by information security professionals and network administrators. Key areas of focus include compliance, security threats, host security, identity management, and encryption. The test costs $311. The Cisco Certified Internetwork Expert credential is geared toward professionals in different sectors of IT. The CCIE is currently offered in six niche fields: Routing and Switching, Collaboration, Data Center, Security, Service Provider, and Wireless. Additionally, the Cisco Certified Design Expert (CCDE) is available for computer engineers and developers. Test format and duration will vary by certification. Most include written and lab/practicum components. Each written exam requires two hours to complete, while the labs require up to eight hours per session.